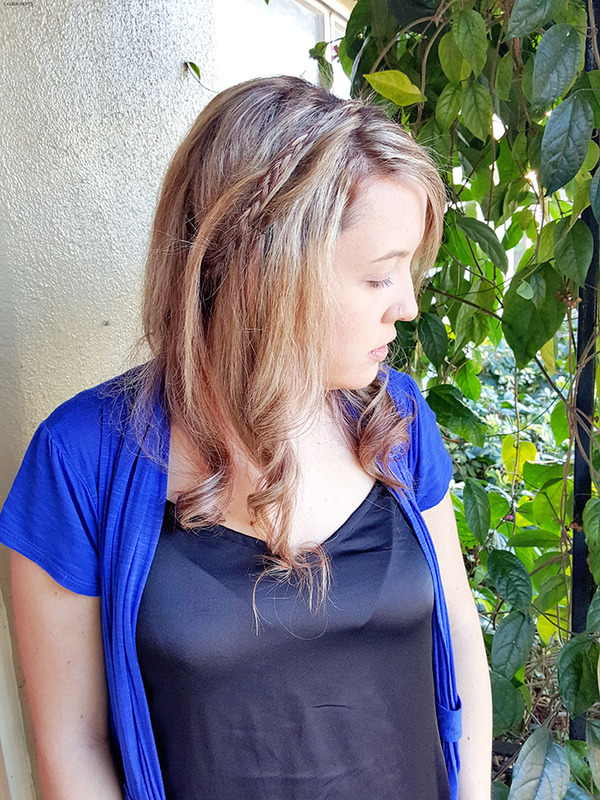 Two Super Simple Hairstyles & My "Secret" Way to Go Blonder! I'm going to admit something to you guys, growing up I always longed to have blonde hair. 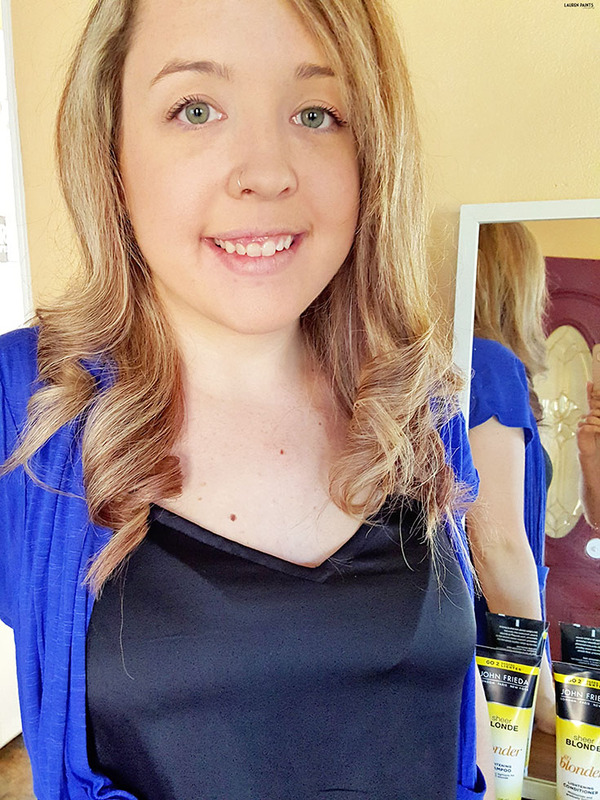 With a naturally auburn curly head of hair, I dreamed of being one of the girls with beautiful, soft, straight blonde hair and while I never really outgrew my longing, I did eventually start highlighting my hair and I've officially achieved the look I wanted... and that's where Sheer Blonde® Go Blonder comes into the picture. I recently went back to blonde after having purple hair for a short period of time and I'm so happy to be back in my "element". With that said, I have one of the best hair stylist in the world and she definitely helped bring my color to another level during my last visit. But with her talent comes a high price and a long drive... don't get me wrong, she's totally worth every penny, I simply can't dish out hundreds each month to maintain my blonde shade. So I started using Go Blonder in between appointments to always make my hair the brilliant, beautiful shade of blonde I've always wanted. 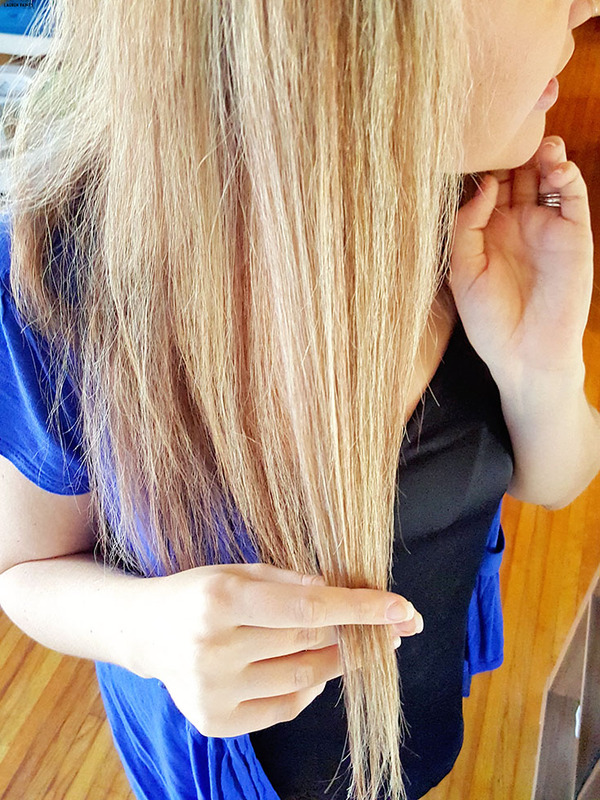 With the new Sheer Blonde® Go Blonder In-Shower Lightening Treatment I'm able to keep my roots looking bright and my hair the right tone without seeking help from a stylist... it's simply a one-time treatment and my hair color lasts longer and looks better each time I use it. 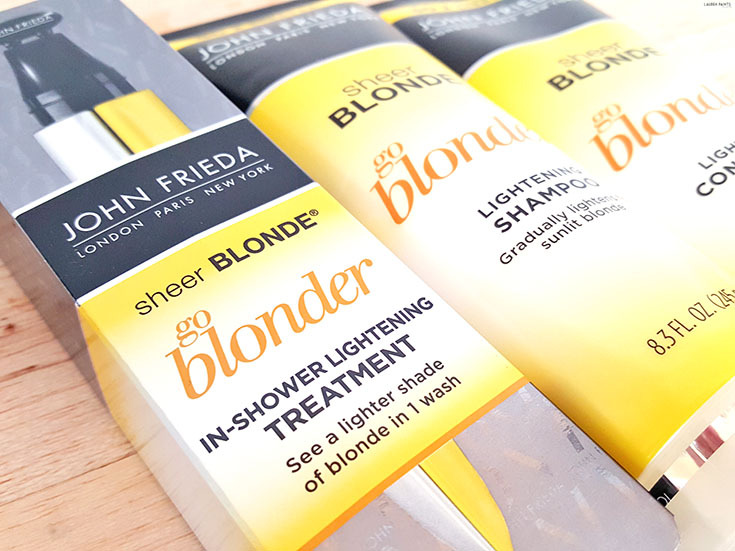 Beyond the In-shower treatment, I also use the Go Blonder shampoo and conditioner; while these products aren't new, they are new to me and definitely a favorite now that I'm back to blonde and trying to keep my hair this beautiful shade as long as possible. 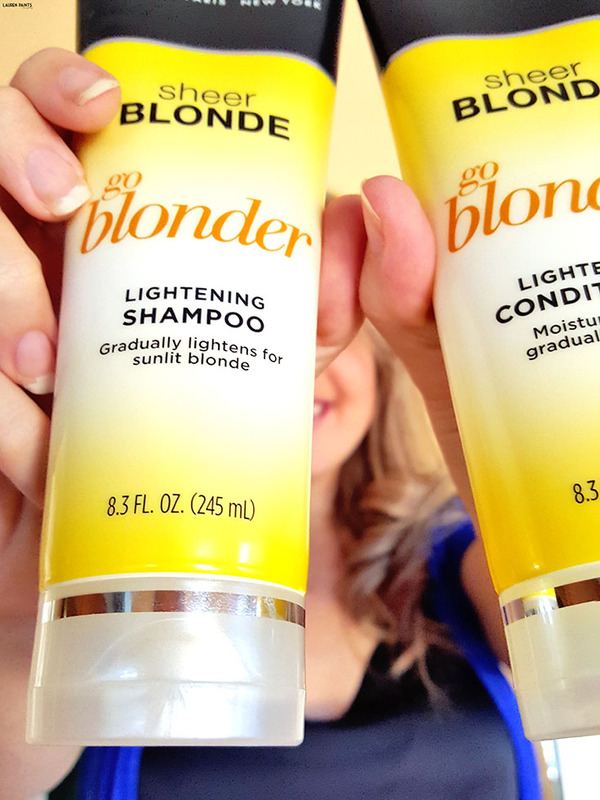 I'm not saying the line will take you from black to blonde, but if you're seeking a natural sunkissed look - Go Blonder is the answer and you can find it at Walgreens, along with a little bit of everything else on your shopping list! 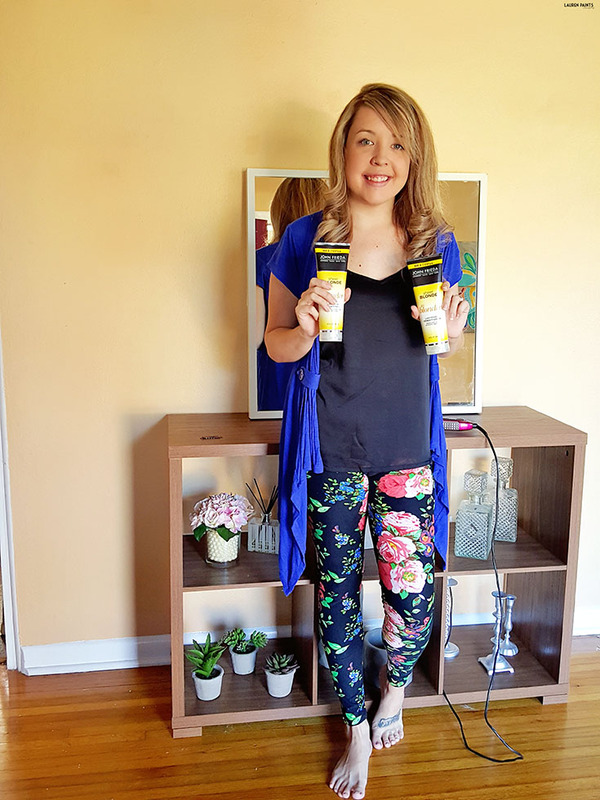 Whether you're a natural blonde or highlighted blonde like me, it's time to lighten up and achieve the color you desire with this line. 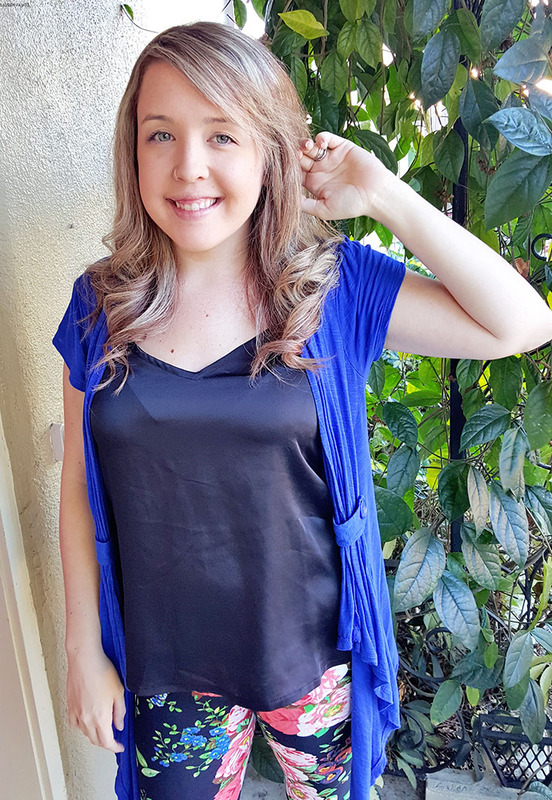 Now that I've shared how I go blonder each time I shower, I think I should share a few of my favorite (simple) ways to style my hair. I know I'm not the only one that likes a quick way to feel beautiful and both of these hairstyles are easy enough for pretty much anyone to achieve! Your flat iron isn't just for straightening your hair anymore, it'll become your new best friend with this SUPER easy technique. All you need to do is section off about an inch of hair and wrap it around your flat iron, as shown in the photo. 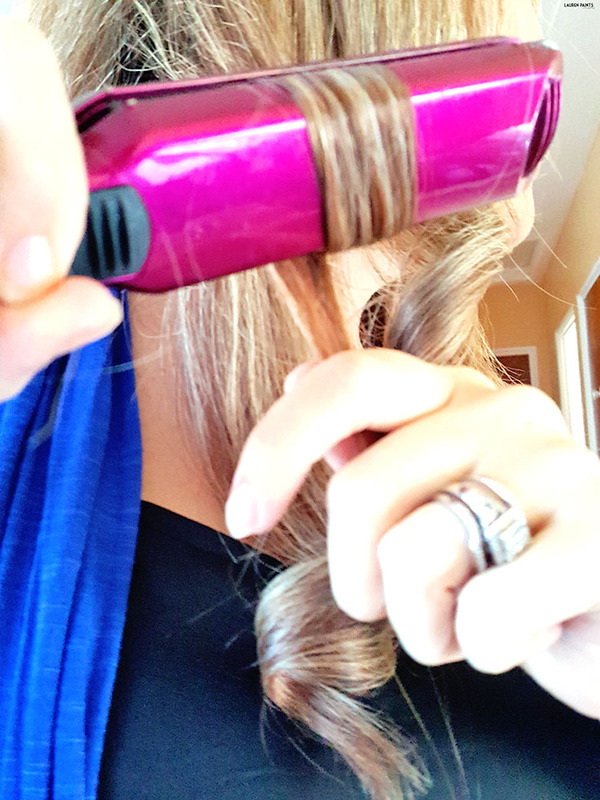 Once your hair is wrapped around your flat iron move it gently down the shaft of your hair, while holding onto the "tail" of hair hanging out, all while creating a slight bit of tension. 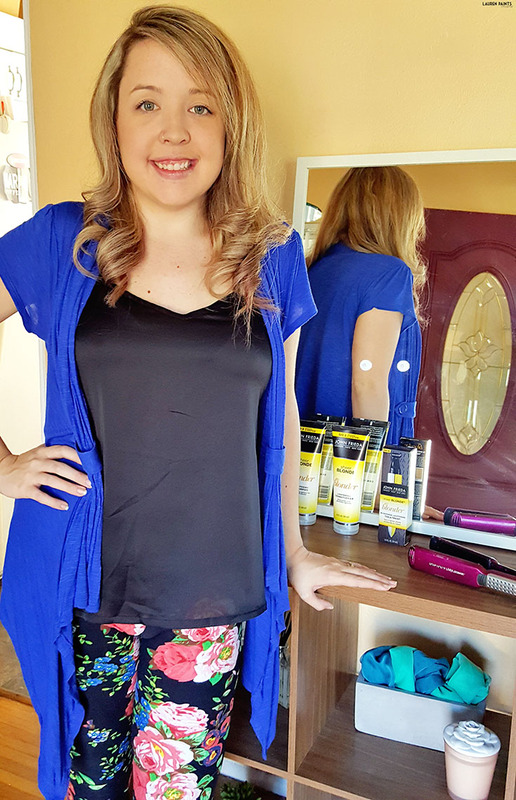 Run the flat iron all the way down and viola, you have a beautiful bombshell curl in seconds. 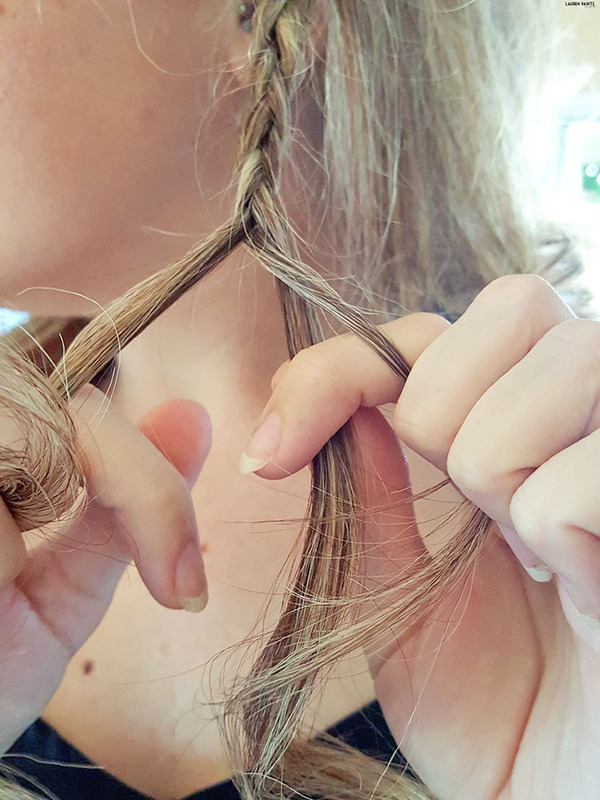 Do this around your head and run your fingers through and your hair is styled just like it is post blow-out at a nice salon! 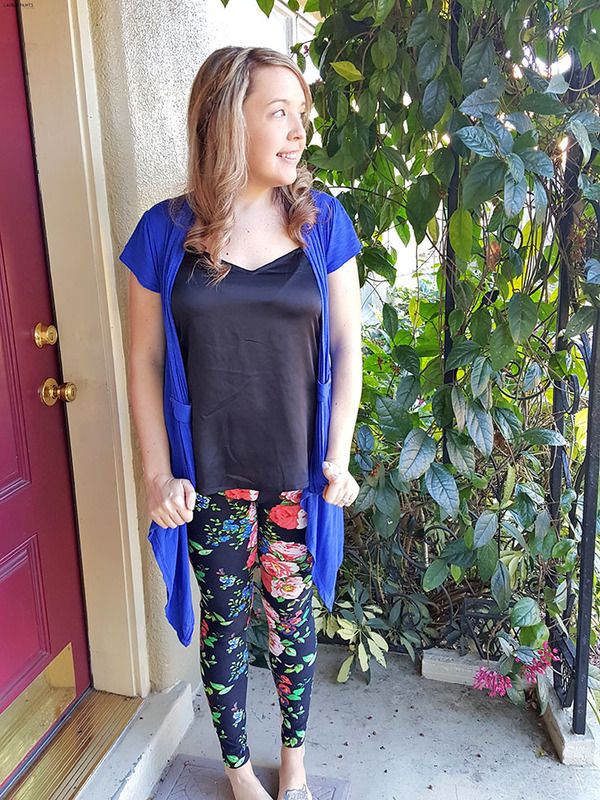 Now, this next hairstyle can be worn with curly or straight hair, but I prefer to rock this look as a second hairday look after curling my hair the day before. 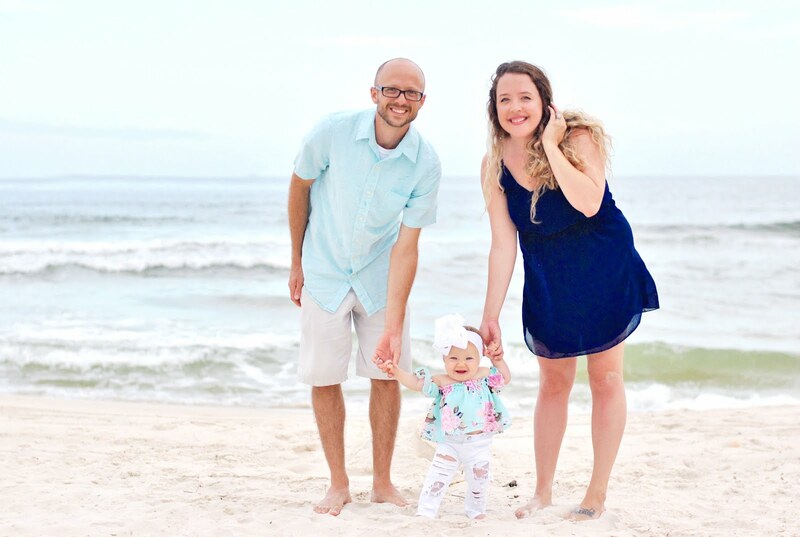 To achieve this look you'll begin by braiding about 1 1/2 inches worth of hair from the bottom of your head, the area behind your ear/near the nape of your neck works best for longer hair. Take your first braid and put it into place with a bobby pin, on the opposite side of your head, as if you were placing a crown. Now braid another piece of hair from the opposite of your head and put it into place with a bobby pin as well. 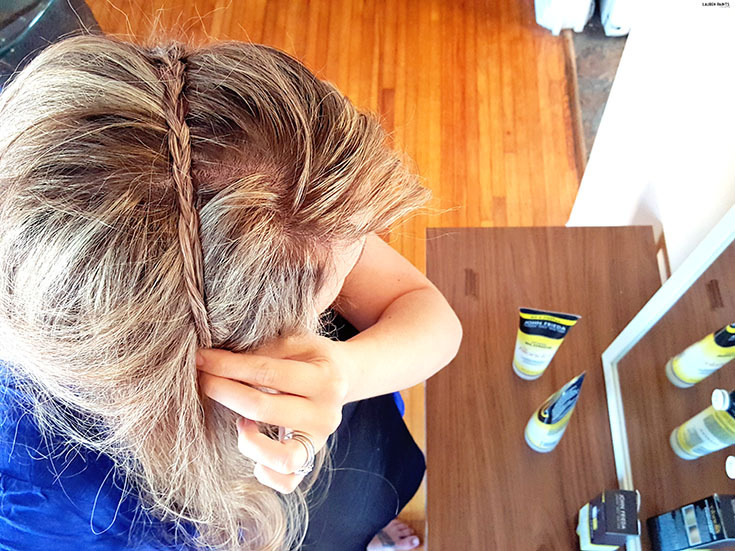 Now you're rocking a crown of braids and your look is complete in just a few minutes flat. With these two hairstyles and my blonde hair, I'm feeling like a million dollars. Are you a blonde wanting to brighten up your look? 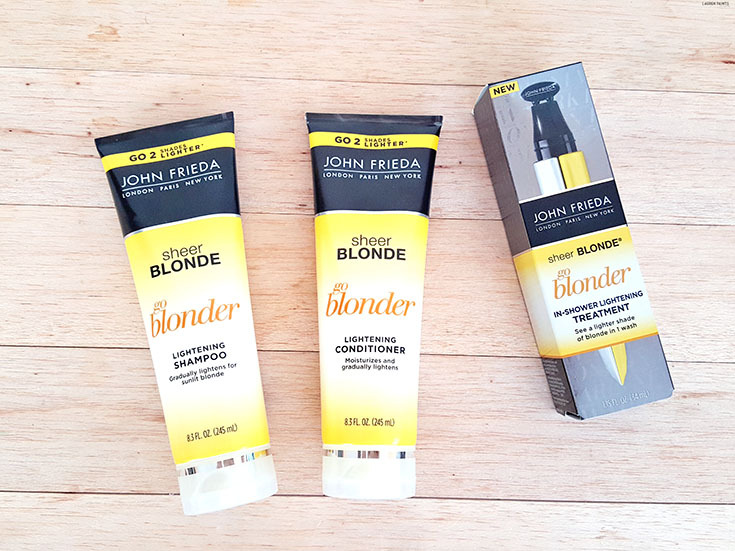 You can reveal your best blonde, with every single wash! 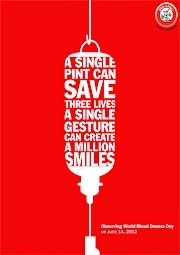 Maybe you're a brunette that needs a special little pick me up? 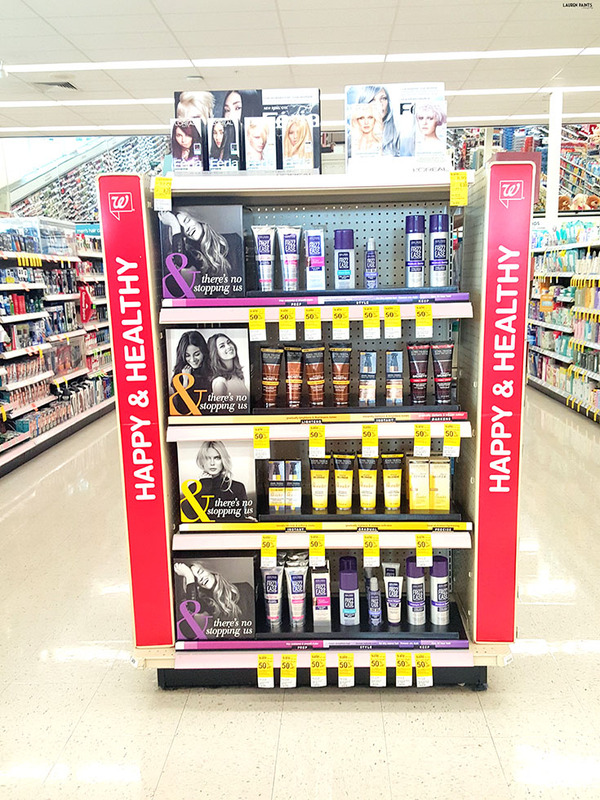 Head on over to Walgreens and check out what the John Frieda line can do for you. Plus, You can score a Buy 1 Get 1 50% off deal with your Walgreens Balance Rewards card, available both in-store and online until January 30th!